West Coast's story is an untold story of a fight to exist, survive and thrive. Overcoming this adversity gave us the strength to take on what came next, both on and off the field. 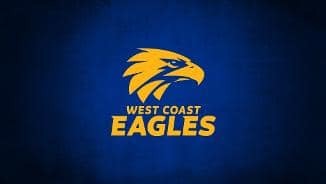 Season 2018 promises to be the beginning of a new era for the West Coast Eagles. The Perth Stadium beckons and our Lathlain Park training and administration facility is rising out of the ground as we speak. With that in mind, the club felt it was the perfect time to review what we stood for. For the past two years, we have trawled through the archives to better understand our history and identify what makes us unique. What we uncovered was the untold story of our fight to exist. 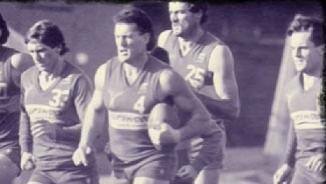 We had to fork out millions to join the league, train in parks and paddocks, pay for our opponents to travel to Western Australia and take on our rivals with a squad of 35 players when they had 52 to pick from. Overcoming this adversity gave us the strength to take on what came next, both on and off the field. Our 2018 brand reboot is about setting the record straight and inspiring our members, sponsors and loyal fans to take on whatever comes their way. Our new logo, born out of exhaustive consultation and research, is a symbol of our story. We are also honouring the fight of the club’s pioneers by re-instating royal blue and gold as our primary colours.